The city has the largest GDP in South America, and also in the Southern Hemisphere, making it a natural cultural, economic and political capital of the south - both nationally and internationally. Below are additional things you need to know as you make your plans to pay pilgrimage to this great city. 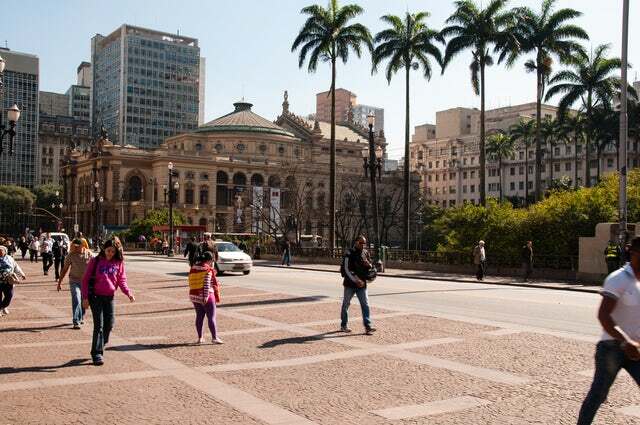 The city of Sao Paulo wears many hats. Sample this; it is the largest city in Brazil, It is the largest city proper in the southern hemisphere, and it is the world's 7th largest city by population. They love football, have a life expectancy of 62 years for men and 70 for women, and are known as Paulistanos. This city is as cosmopolitan as any city can get. Although Portuguese is the official language, people here can speak English, French, Spanish and a host of Asian languages. All these languages are actively represented in the 18 million city residents. The city is home to more than 30 parks and about 15 million square meters of green space. Visitors are better off visiting during the month of January, during which the average temperature is 21 degrees Celsius. If you are planning to visit the city, you will not be alone. A whopping 16.5 million tourists visit the city every year. Couple this with the fact that the city is home to 18 million regular inhabitants and you have a sea of people to mingle with. The city hosts more than 90,000 events every year, most being conventions, trade fairs and most importantly, sports. The city is home to 3 'A' level soccer teams and if you love sports, you will never lack in A-game level of football. After Tokyo and New York, Sao Paulo is the third largest city in the world. Together with Beijing in China and Mumbai in India, it is the city to watch. If you are a businessman, you are well advised to set base there as this is the city of the future. Going forward, Sao Paulo will grow in importance in terms of world economics and politics. If you have not visited the city, both as a businessman and tourist, you need to do so as soon as you can before it gets out of reach for the lean budget travellers.